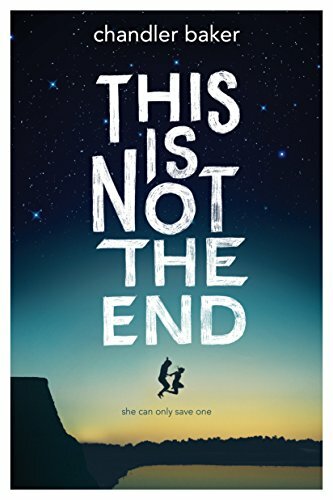 I was super excited to get a copy of This Is Not the End by Chandler Baker from Booksparks. I started reading it in the pool yesterday and it is so good! It's based around Resurrecting - and every person gets one a lifetime to resurrect one person (can't be suicide, which is a detail I wouldn't have though of). I'm halfway through it already. It's been so hot out here that the pool hasn't even felt cool enough - but I feel like a chump ever complaining about that. I went and saw The Beguiled last weekend - and was sadly disappointed. I love Nicole Kidman, and I especially love her in period movies, but this movie had incredible actors in it, and it seemed like they were all holding back, it was so restrained that it felt unemotional. I read a review that there was "sexual tension", and I was like - where was that? The story said there was, but you didn't feel it at all, and as a result, you didn't care about the characters. The same thing is so true in a book - if you don't care about the characters, you don't care about the story. bring back tolife, who would it be? Seventeen-year-old Lake Deveraux is the survivor of a car crash that killed her best friend and boyfriend. Now she faces an impossible choice. Resurrection technology changed the world, but strict laws allow just one resurrection per citizen, to be used on your eighteenth birthday or lost forever. You only have days to decide. For each grieving family, Lake is the best chance to bring back their child. For Lake, it's the only way to reclaim a piece of happiness after her own family fell apart. And Lake must also grapple with a secret--and illegal--vow she made years ago to resurrect someone else. Someone who's not even dead yet. Who do you need most? As Lake's eighteenth birthday nears, secrets and betrayals new and old threaten to eclipse her cherished memories. Lake has one chance to save a life...but can she live with her choice?